In the last century, changes to the nature and patterns of women’s working lives have been vast. Notably, the huge increase in women’s participation in the paid workforce means that today women are retiring in unprecedented numbers. How do they cope with this lifestyle transition? What major difficulties do they face? How do they process the problems associated with managing this transition in fulfilling ways while juggling family, financial, friendship, ageing and health issues? To date, most retirement studies have focused on men, and therefore gender-specific issues relating to post-work life, such as the pay gap, the double shift, women’s longer lifespans and their traditional roles as carers and social nurturers, have been afforded far less attention. 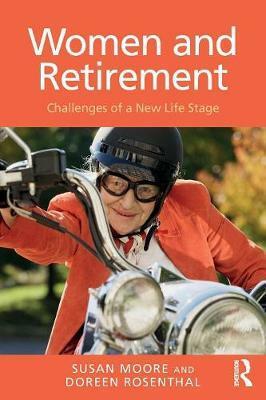 Women and Retirement: Challenges of a New Life Stage is the first book of its kind to examine women’s retirement using a lifespan perspective. Based on the authors' extensive study of over 1,000 retired Australian women as well as current research, the book presents models of various retirement trajectories and compares women’s experiences with the more widely researched retirement experiences of men. Moore and Rosenthal consider the nature of the transition from full-time work to retirement and the many different pathways and factors influencing this journey: women’s financial status in the retirement years; their health changes; and the varied activity patterns they adopt.